Marketing automation platform, Act-On, held its first user event in San Mateo in October. 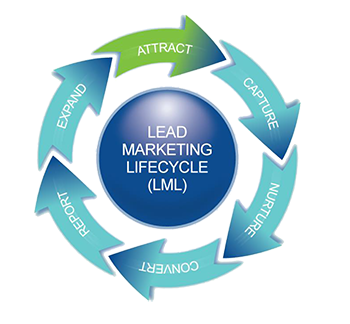 The event was set up to mirror the Lead Marketing Life Cycle, going through each stage in the funnel throughout the day. Here I’ll cover the highlights of the journey including tips for each stage. Attract centers around creating remarkable content. Aptly, the three speakers covered content marketing, search engine optimization and social media. This stage increases visibility and audience by generating more impressions and engaging conversation. Create a buying experience supported by content. Use a simple content marketing framework. Talk to leads using their language. LinkedIn is 277% more effective at generating leads than Facebook or Twitter. Capture focuses on making anonymous visitors on your site known visitors. This stage increases the known prospects in the funnel and is achieved primarily through landing pages and forms. Entice prospects to give up contact info with killer calls to actions and offers. Improve conversion rates through testing. Examples of test variables include subject line, headline, copy length, offers, button copy, colors, images, form placement, and number of form fields. Nurture is the relationship building stage where you engage with prospects by providing relevant and timely information based on their needs. At the end of the nurture phase, you should have more prospects qualified and ready to buy. Start with knowing the buyer by identifying buyer personas and the buying process. This allows for proper segmentation. The next step is qualification where lead scoring takes place based on demographic and behavioral criteria. Utilize automated programs to move leads through the sales funnel, focusing on where the prospect is in the buying cycle. After all the hard work to attract, capture and nurture leads comes the most important piece: converting leads to opportunities and then converting opportunities to customers. The Convert Stage results in more leads and customers at a lower cost. Create alignment between marketing and sales by agreeing on a common language and lead scoring. Close the loop with metrics, so neither marketing nor sales can blame the other. Expand focuses on growing your current customer base through upsells and cross-sells. The expand phase results in more revenue from existing customers. Just because the deal is closed doesn’t mean it’s time to stop nurturing. Continue to nurture by sharing content and becoming a trusted advisor to current customers. Create customer advocates by rewarding customers that show public support for your organization. Hope you enjoyed the journey through the Lead Marketing Lifecycle and have a few ideas to improve each stage in your marketing efforts.